Have you ever wondered where old vinyl records wind up when they aren’t saved by DJs or ‘wax’ enthusiasts? 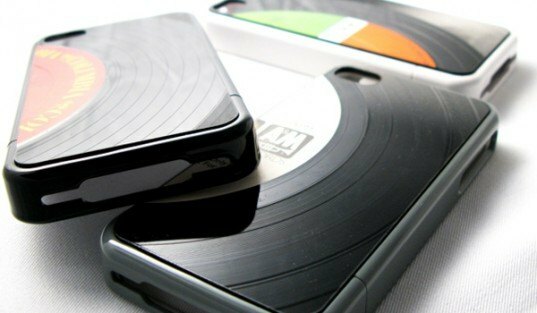 Brooklyn-based WrecordsByMonkey offers one inspiring new use for dusty vinyl stacks with their groovy recycled record iPhone cases! By transforming real reclaimed vinyl records into handmade accessories WrecordsByMonkey has already saved thousands of vinyl discs from ending up in landfills. Their newest green creation, the cool ‘iPhono-case’, really brings that groovy flavor back from the good old days. The case fits the iPhone 4/4S, it comes in three colors; black, white, and gray, and each case also comes with two removable and interchangeable vinyl record back panels. Working from their studio in Willamsburg, NYC, Wrecordsbymonkey has hand-made over 200,000 products ranging from record bracelets and jewelry to interior products. Seeking to relate to music lovers of every generation, the company is also inspired by worlds of fashion and art. Have you ever wondered where old vinyl records wind up when they aren't saved by DJs or 'wax' enthusiasts? 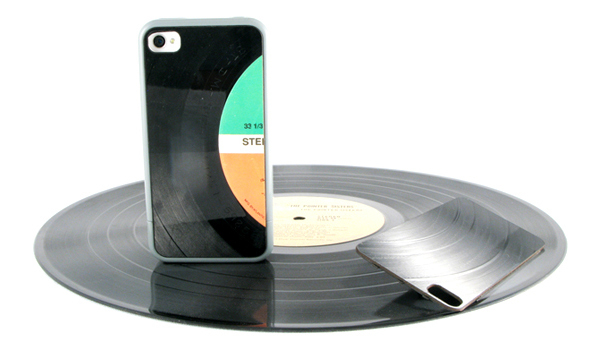 Brooklyn-based WrecordsByMonkey offers one inspiring new use for dusty vinyl stacks with their groovy recycled record iPhone cases!